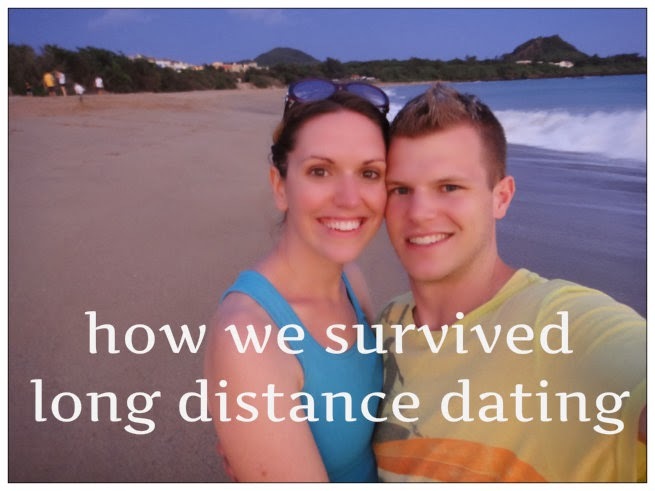 While Dave and I are together in Hawaii I wanted to share how we survived when we weren’t together. I know I have some new readers and you should know that I moved to Korea in 2012 to live for a year. Dave and I dated long distance that entire time. We decided to get married while dating long distance, I planned most of my wedding long distance … distance, distance, distance. I don’t know who out there is dating long distance but I wanted to write from my heart how Dave and I made it. I was going to do a ‘5 ways to survive long distance dating’ but that would be writing ‘blog style’ and I want to write from heart as a reminder for me and hopefully as a help for you. I hope someone benefits from it but if no one does that is quiet alright too. This little space is for me to document my journey. So …. Here is how we made it…. God – I’m not going to lie. Dave and I had to work through stuff even dating long distance. I remember a few times after a difficult phone conversation, taking a walk and praying “God, there really is not one thing I can do. Only you can work this out. It’s all in your control”. Is it shameful to say I was kind of surprised that God worked it out? I knew He could but to see him work things out was just really amazing. Friends – I seriously am so so so thankful for my roommate Alisha! Thanks, Alisha! Alisha would listen to me, give me advice, and pray with me over my relationship with Dave. Having a sister in Christ to walk through that year was so helpful. Once I knew I was getting married I met with godly women who were married and got lots of advice from them. I took a bunch of notes and call it my 'life as a wife' advice. It's been very helpful. Family – Even though my family was miles away don’t think I didn’t involve them. I did! When my Mom came to visit me she asked me if I would say yes to Dave if he proposed. I told her I would. I distinctly remember her telling me she was all for it 100%. My family was 100% wanting me to marry Dave years before I was ready to. I do think that seeking wisdom from family is important when you get married. Journaling – This one is probably one of my most favorite things in the whole entire world! Before I left for Korea I told Dave we should write and send journals back and forth. He didn’t seem to keen on the idea so I wasn’t expecting much. However, I got a package in the mail from him with this …. 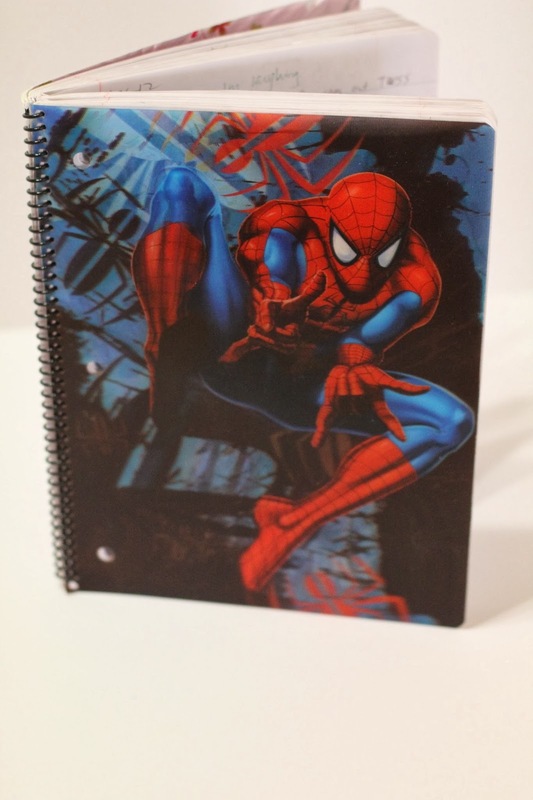 Um – A spider man notebook? Really? 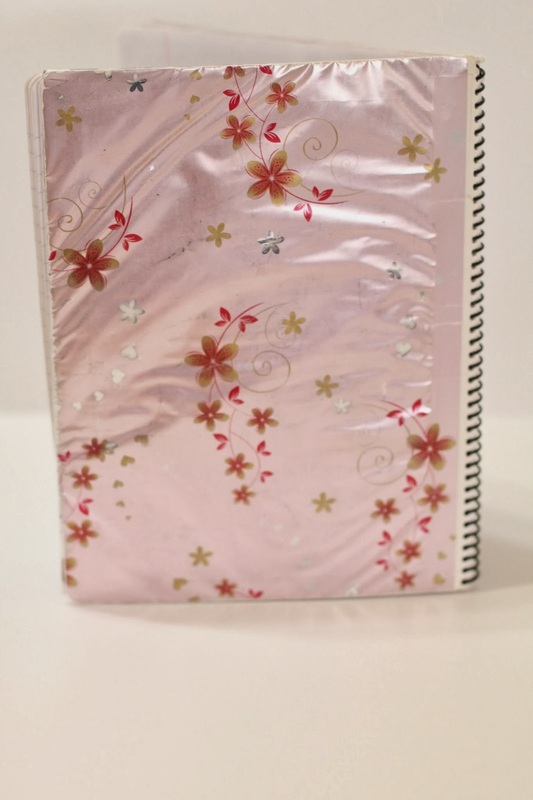 I thought that was lame to the lame so I immediately covered the back with floral paper. However, look at the inside! Dave wrote his heart out in that journal. I was amazed! He wrote about daily life, about his love for me and about what God was teaching him. I think journaling allowed us to see each other’s heart. There is something special about a pen and paper. We sent eight journals back and forth that year. Sometimes I read those journals now and think “oh my gosh we were sick saps!” but it’s still fun and I still love reading it. Also, Dave will still journal for me on occasion. He knows I love it and is kind enough to write to me. Skype & Phone – This is just a must. When I first when to Korea I had serious computer issues. I did however, have a magic jack / phone and Dave could call me daily. He was my wakeup call in the mornings. After I got a new computer it was daily Skype. Oh and Saturday night skype dates until 3am / 4am made for one tired church girl the next day. But hey, distance is distance and you gotta do what you gotta do. That my friends is a short summary of how we made it! I guess we really hated distance because I came home on February 7th and we got married March 24th. It was a whirlwind of life changes but turned out being really great. Anyone else out there dating long distance? Does anyone else love journals like I do? My BF and I also journalled while he was deployed. I loved it and it was such a help for us to write what is going on, how we feel and just in general things for each other! Loved this post! We did the long distance thing for 2 years (although the longest we had to go without at least a weekend visit was 4 months). It's tough, and definitely teaches you things about yourself and your relationship with each other as well as with God. We did a lot of the things you guys did, but not the journaling. What a great idea! My husband and I were long distance up until we got married! And we've had a couple 3 week long separations since then! Skype, email, and phones definitely earn a lot of appreciation! my husband and I had spent more time long distance than together before we were married, and for 3 months of time after being married. we did US to Turkey in college and it was WAY more difficult back then because video chat wasn't really a thing yet. skype is amazing! but he used to email me every day and then hand write beautiful letters [and even some poetry!] to mail as a surprise. I think the journals are a sweet idea, and I hope you two are enjoying your time in Hawaii! Mere - you go girl! Are you having a big wedding or a small wedding? When is the 'long distance' part over? It will pass, I can tell you that! Glad you guys can communicate even though you are away - it does help a bunch! Well, I always say it's never too late to start journaling =). A note in a journal every now and then is really fun. Distance was good for us; hard but good. Is he still deployed or is he back home? I think journaling is good for so many reasons. I also think it will be super fun to read them again as the years go by. I didn't realize you and Seth did distance for 2 years. That is a long time but you guys made it! =) I agree that it teaches you a lot. It was hard but was good for us. Oh the Brasilian correios! I sent a package to some missionary friends of mine back last fall and they just got it about a month ago. They had no idea how they received it since the mail system was on strike.... I'm glad you had Skype! Why do you still have the distance? Is it work related? I guess the distance in dating helped prepare your for the times in your marriage when you would be apart. I'm so thankful for technology too! Oh man! I can't imagine being married and having the deployments. My brother and his wife are both navy and they spent their first year of marriage apart due to deployment. You all are troopers! (no pun intended). My granny and grandpa just had letters. He was in the Korean War and I would be a mess not being able to communicate. However, back then, they probably thought letters were the 'in thing'. She still has all those letters and they are in a binder now. It's fun to see them. I didn't know you two dated long distance! Was it weird to be married and together all the time after so much time apart? That is really neat that your husband surprised you with letters and poems. I'm sure you will cherish those forever! You forgot to mention pictures! that was maybe the most important thing for me. I think it's more important for guys than girls when distance is involved especially since men are more visual by nature. Getting a picture of Beka was often the highlight of my day. =) I did forget that! Yes, it is important.